Virtual Reality or VR has been making steady progress and developing a strong presence online. It already has a wide variety of applications. For example, there are certain gambling websites that work towards making the experience more immersive, leading to returning players and larger profit, hence the usage of VR for this purpose. Reviews of online casinos such as the one you can find on the website nj-code.com inform players which casinos have started implementing VR in their games. There is a slight misconception in the public concerning the nature of VR, referring to it only in the context of games and entertaining movie clips. What other possible applications could there be? Well, today, we are going to uncover just what it is that VR can do, is doing and will soon be able to do online. Though it might seem trivial at first, there are companies and stores that use VR to make the shopping experience more engaging. It has been observed that a portion of the public still prefers brick-and-mortar stores over purchasing goods online, the reason being that they can touch and examine the products. With VR, users and shoppers are able to walk around virtual shelves and examine the products at their leisure. For instance, a user could go to Amazon and flip through pages of a book they are thinking about buying. 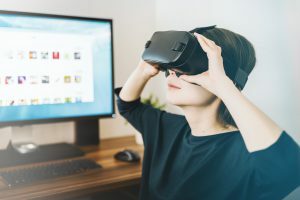 The content of a website seems more appealing and interactive when it is backed up by VR, though, of course, this applies only to the websites that have VR content. The main companies on the market have already invested heavily in this project as the next step in technological and business development. Both Google and Mozilla are working hard on making VR browsing an enjoyable experience, with Microsoft not falling far behind. New browsers, apps, and headsets are all areas where this technology is likely to thrive. What is curious about this enterprise is that Apple is the one lagging, as they are expected to join the race by 2020. 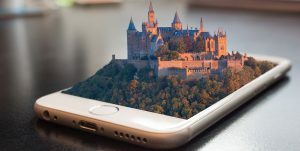 A natural consequence of virtual browsing is a form of virtual tourism. Users have the option of walking around museums and galleries, visiting monuments and such without leaving their home. Additionally, people who are unable to leave their home for whatever reason can learn in great detail about, for example, mechanics and engineering. 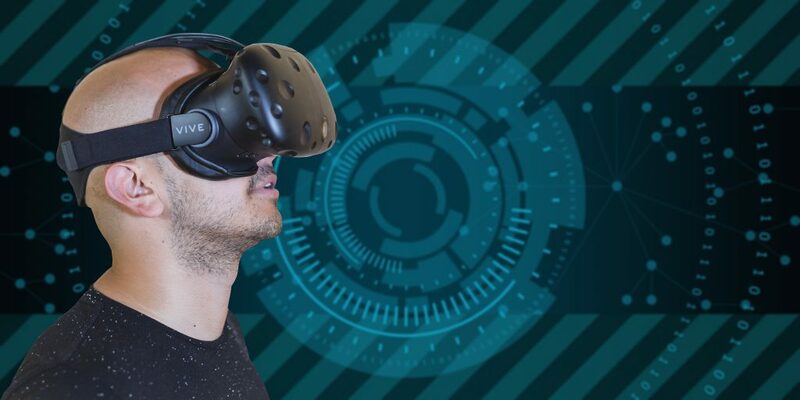 There has also been a lot of research and development in the department of connecting VR and the Internet of things. A company named Eye Create Worlds has already developed a rough concept of intuitive research and monitoring of a rail transportation network. In VR, this will look like a toy train set, except that the users will be able to be everywhere and see everything, making sure they fix the problems and optimize the performance of the rail. Another breakthrough comes in healthcare, in the form of the Da Vinci Surgical System. It allows practical training, and test runs of surgical procedures, and, using a small camera, surgeons can observe the patient’s insides with minimal invasion. The potential capabilities of this system look very promising, especially when one considers the possibility of an operation from a remote location.